This quote comes from a series of verses which were written to accompany the famous Ox-Herding Images, a series of pictures popular in Zen philosophy which use the allegory of a figure seeking to capture a wild ox to describe a student’s quest for The Way. The seeker travels into the mountains, hot on the heels of their target which is always just out of sight. At last they catch and tame the ox, and true realisation is achieve when the seeker understands that they, the ox, and everything else are one. But arguably the most important scene is the final one, where the seeker, armed with their new realisations, comes down from the mountain and re-enters society to share what they have learned. In 2015, I started my PhD at the University of Southampton in which I conducted a thorough investigation into late medieval armed combat through deep dives into the sources for evidence we have available: the fencing treatises, surviving arms and armour, art work, and skeletal remains. My three years of work saw me handling iconic weapons in some of the world’s premier arms collections, sequestered in art library basements for weeks on end, and generally undertaking some of the most intense work I have ever experienced. It has only recently reached its culmination, with my thesis being accepted and my degree awarded this past winter. It is understandable, then, that amidst the last few years of chaos, The School of Mars has been largely dormant. The seeker was off in the mountains searching after his elusive ox. But now, with my work completed, I am ready to rejoin the world and share what I have found. The School of Mars will be broadening the range of its work. I do intend to re-establish sword classes, however I will likely be teaching via semi-regular workshops and seminars, as well as instructing individual students either in person or via Skype. 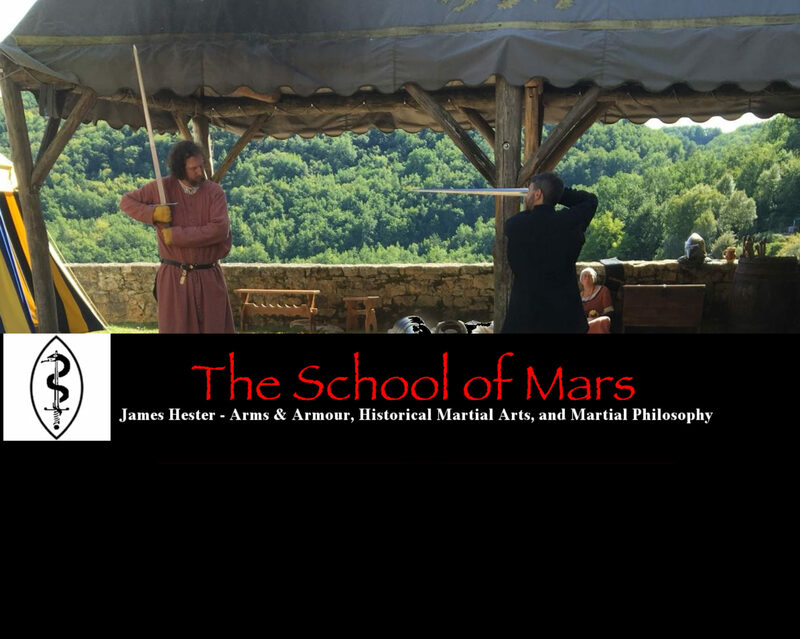 In addition, you can expect ongoing articles, interviews, video, and audio content covering varying topics related to arms & armour, historical combat, and martial philosophy. I am very much looking forward to re-activating The School of Mars, and hope that you enjoy all that is to come.